Following his look at the street level view of corruption in the country, Jamie Hitchen examines how corruption and politics are increasingly intertwined. 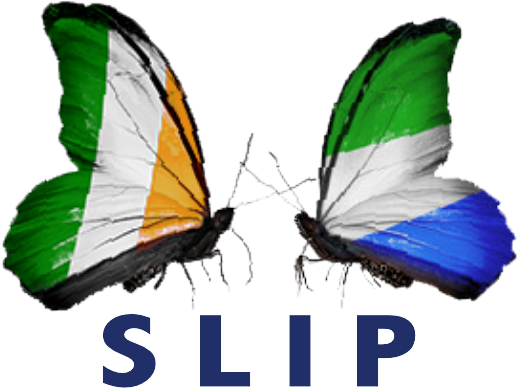 Transparency International’s 2015 Corruption Perceptions Index ranked Sierra Leone 119 out of 168 countries. The country’s position has progressively worsened over the last four years. Also in 2015, 70% of citizens surveyed by Afrobarometer felt that corruption had increased from 2014, with only a third believing that they can make a difference in the fight against it. Ernest Bai Koroma pledged to tackle corruption after his election as president in 2007. He replaced a Sierra Leone People’s Party government that was accused of being a “fortress of corruption” and which faced severe criticism of its record from international partners shortly before being voted from power. Koroma began promisingly with the creation of an Anti-Corruption Act in 2008 and public attacks on graft within government. But after the unexplained resignation in 2010 of Abdul Tejan-Cole, the widely respected, impartial head of Anti-Corruption Commission (ACC), progress stalled. Under the leadership of Joseph Kamara, increasingly a close ally of the president, the commission successfully prosecuted no high-profile individuals for corrupt activities, leading to accusations that it has been politicised. The decision to appoint Kamara to the position of Attorney General in a recent cabinet re-shuffle does not convey the message that the justice sector will take a tough or proactive stance on the issue. The fading commitment to tackling corruption was highlighted during the Ebola outbreak. A real-time audit of government expenditure by the Auditor General’s office found that 30% of the money was disbursed without proper supporting documentation. Despite the report being a public document that was presented to parliament – meaning that the ACC could in theory have been expected to investigate its detailed findings – so far no individual has been reprimanded or asked to pay back ill-gotten gains. Procurement mismanagement and inflated contracts have featured prominently in every report by the Auditor General’s office since 2011, but continue to be features of day-to-day government business. International donors like the UK’s Department for International Development (DfID) have also sought to engage government on the subject. Following previous initiatives, in 2014 a “Pay No Bribe Campaign” was launched with the support of the president, who urged citizens to “Request no bribe! Pay no bribe!” DfID decided not to channel funds for the Ebola response through government ministries, indicating concern about accountability and transparency. However, DfID’s own showing on that score has been far from perfect. Sierra Leoneans – the beneficiaries – have a right to know why, for example, a treatment centre at Kerry Town was constructed (and subsequently dismantled) at a cost of £85 million; or why only 2% of all funds donated by external agencies including DfID went to local doctors, nurses and burial teams. In a recent interview with The Economist, the president’s spokesperson, Abdulai Bayraytay, claimed that the installation of two sets of traffic lights in Freetown would help reduce corruption as “traffic police are perceived as being very corrupt”. The comment appears symptomatic of the government’s unwillingness to address the root causes of the corruption “problem”. Police reforms and the punishment of transgressors, rather than a public admission that the government knows what goes on but does nothing, would have been more encouraging to Sierra Leoneans. Of course, promoting this type of reform for government departments is not in the interest of ministers whose lifestyles are far more opulent than their monthly salaries of about US$3,000 could possibly support. The government is facing an acute cash shortage. The price of iron ore, the main driver of double digit GDP growth in the years preceding Ebola, remains low; most aid is not channelled through government departments; and internally generated revenues are slight. The Ministry of Defence received only a quarter of its budgetary allocation for the first six months of 2016, a constraint replicated to varying degrees across all ministries. To the government, Chinese investment looks like an appealing solution. But partially state-owned companies, such as the China Railway Group, are mainly interested in the construction of toll roads and a new airport. These are necessary in the long-term, but far from vital for a country that has serious problems with the provision of water and electricity, prevailing food insecurity and a health sector described by the Auditor General as a “panoply of dysfunction”. Ulterior motives are widely suspected. If it goes ahead – and opposition has already been expressed by key international donors and partners like the IMF – moving the airport from its current location at Lungi to a new site 38 miles east of Freetown, at Mamamah, is expected to cost at least US$300 million. The Chinese government, it is alleged, have their eye on the Lungi site for a military base; for President Koroma, it would be a way of getting much-needed cash into the system and facilitating a legacy project. With an election just 18 months away, the All People’s Congress (APC) patronage machine is already grinding through the gears. Sierra Leone’s 1991 Constitution limits the president to two terms. It appears unlikely that Koroma will attempt – or find himself able – to change the constitution despite increasingly vocal backing from APC supporters and even those within the party to secure “more time”. The president is aware of the potential consequences for relations with leading international donors and the reputational impact. Legally, he would only be able to extend his term in office if the country were to remain in a state of emergency; but this measure, announced in late July 2014 to contain the Ebola outbreak, is due to be lifted in August 2016. Perhaps Koroma’s cabinet reshuffle in March 2016, widely interpreted as a political manoeuvre, provides the clearest indicator of what will happen to the presidency. Those who were suspected of contemplating a leadership challenge ahead of the 2018 election were sacked and replaced by individuals with limited experience and in some cases few qualifications other than demonstrable loyalty to the APC. Several of the new ministers may not be well-equipped to provide the strategic, long-term thinking that is required as the country rebuilds post-Ebola, but they will ensure that Koroma’s rumoured successor, Joseph Kamara, has the full backing of the party. The APCs structure and constitution promotes a strong, top-down chain of command. Once a decision has been made by the party’s inner circle the casting of votes to endorse this choice is purely academic.